A play can be boring if its plot, directorial approach and other important elements do not add up. 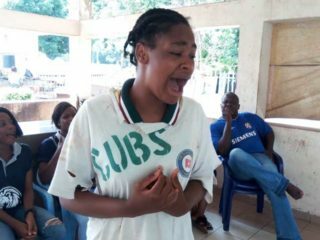 But when you have a play parading such an elite cast as Abuja’s audience witnessed with Adinoyi Onukaba Ojo’s Her Majesty’s Visit, it sure must be a box office hit. 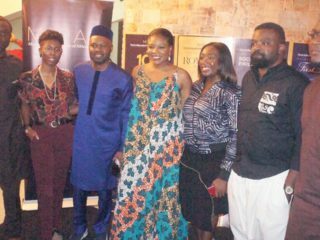 It is not the first time Her Majesty’s Visit is showing in Abuja, from the stable of Patrick Otoro’s Eagleview production, but when such a personality as Joke Silva is leading the pack, such production is bound to be a delight, directed by Chidi Ukwu. Simpa (Patrick Otoro) and his thirty-something years old, African American wife, Dannielle (Najidte Dede) have lived happily together for about a year in New York until that night when his mother, Eneyi (Joke Silva) suddenly arrives from Nigeria, on an unannounced visit. Simpa had left Nigeria a year ago, promising to return as soon as he is settled, to pick his childhood friend and fiancé so thy could settle down and return to America together. But to the dismay of everyone, he never showed up. Determined to make Simpa live up to his promise, Eneyi arrives in America to find her son already married. Her Majesty’s Visit is a delight any day. It is an everyday story, which depicts the divides in society. The play throws up a couple of salient issues that the world still grapples with. Chief among issues it raise is that of clash of cultures and the wife versus mother-in-law usual face-off. Eneyi, a head teacher from Nigeria, disapproves of Simpa’s marriage to Danielle on two main grounds: her being older than Simpa and the fact she is an American. Not being a Nigerian also counted against her. The two are constantly at loggerheads, with Simpa in the middle of the two women. That is, a tough mother on one hand, and an intolerable wife on the other. Unlike the blurb and synopsis of the play suggests, the play is about Eneyi, who leaves Nigeria for New York, determined to bring her son back into the waiting hands of her childhood love, Asido, a character we never get to see on stage, but constantly referenced by the three characters, especially Eneyi. Jove Silva was in one of her best elements ever. 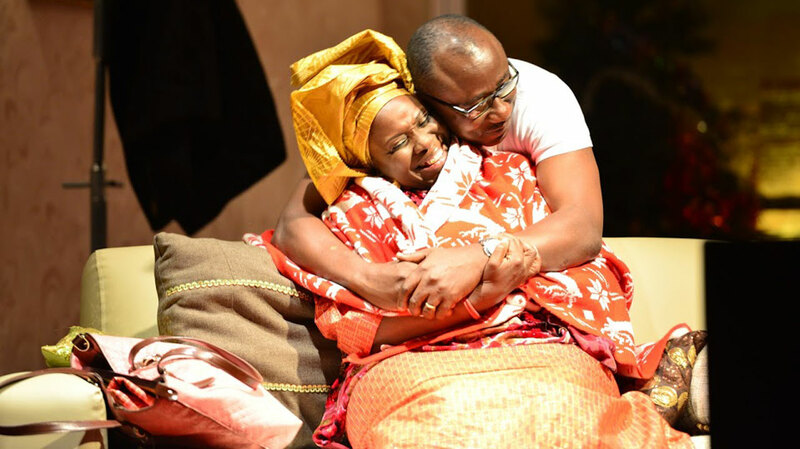 It was indeed a ‘majestic’ visit, not only in view of the play’s title, but in Joke Silva’s excellent discharge of the role to the excitement of her Abuja fans that react to almost every action from their stage goddess. 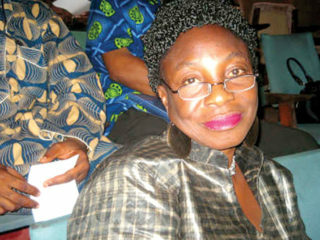 In the words of the late literary icon, Professor Chinua Achebe, one could simply say ‘the character finds its match.’ And if her brilliant performance, which did not come to any by surprise, is anything to go by, there surely couldn’t have been a better cast for that character than the ever brilliant Joke Silva. The only flaw in the character, which is no fault of the actor, but of the writer, would be in her portrayal as a semi-illiterate. For an educated woman and a schoolteacher (English language), who rose to the position of a head teacher, feigning ignorance of thatinexcusable flaw. There are a few other instances, which conflict with the personality of the character in same manner. Like when she is searching for what programme to watch on the television. It might not be out of place to say, however, that her majesty (Joke Silva)’s sojourn on the above scene is indeed a majestic and memorable one for the Abuja audience and they sure would look forward for more. Credit must go also to Otoro, who combined his role as the director with playing the lead role, as Doctor Simpa. Patosh, as he is popular called, has eyes for details, both as an actor, and now as a director. As a director, he was able to present reality to the audience. In terms of directorial style, I would conveniently place Otoro between the dictator and the negotiator. While asserting his creative ingenuity, Otoro also does well in harnessing the ideas of the production team and actors.